Today I'm sharing another summer-themed card featuring Little Yellow Bicycle's Splash collection. 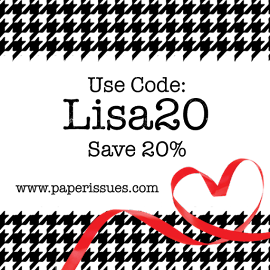 I put this together with little snippets and bits left over from previous projects (otherwise known as scraps, LOL!) I love the look of the tiny pearls on the flip flops. Just a little addition to add some dimension. 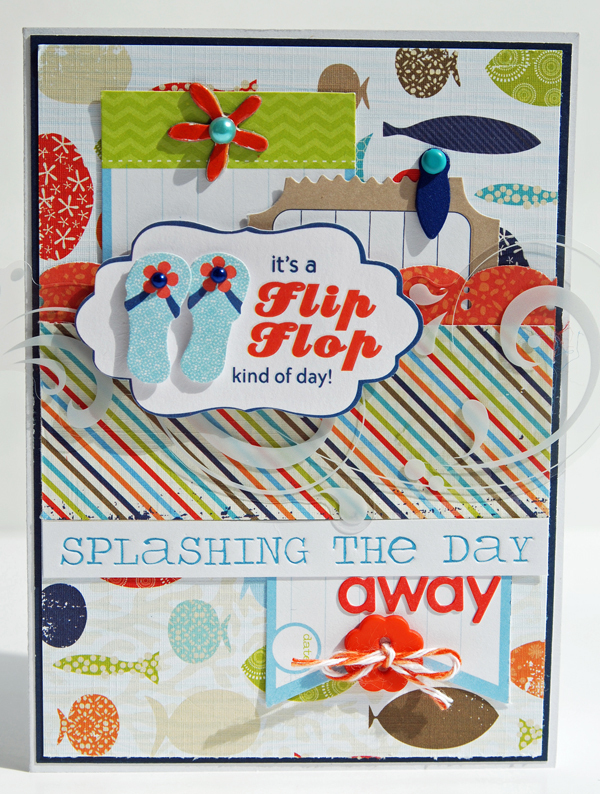 Did you notice how the swirled clear cut adds movement to the card by mimicking the motion of waves? It also helps to draw the eye across the card. I hope you have a great weekend! I'll be back next week to share some new projects. Loveeeeeeeeeee this!! LOVING the colors and the flip flops!! Off to see more!! Oh Lisa, that is SO, SO cute. Love all of the details and the bright colors are so perfect! Just love this! Oh such a fun card! I love the colors and LOVE those flip flops! So cute!! Lots of yummy details on your card, super cute! ooooo Love the card. What fun colors and totally adorable. I love the flip flops. What a fun, bright, wonderful card Lisa! So cute, Lisa! What a great collection! how fun, makes me ready for summer! I always loved this collection. I just love those colors! Great design too! Love love love this! 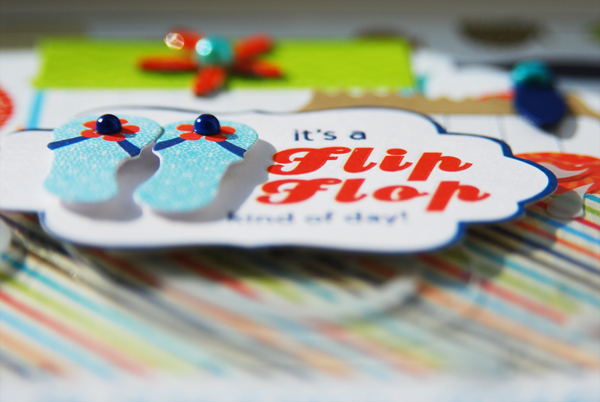 I'm a flip flop fan myself! Very cute! I love the vellum wave. Very fun, such bright and cheery colors, makes me wish for summer to come faster! Awesome card Lisa!! 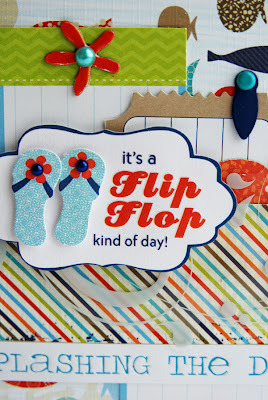 Love the transparency and those flip flops on your sentiment are too cute! And the bright colors are so eye catching! Oh wow! How colorful and happy and summery! Love it! This is such a fun, summery card. Super cute! Love the details. I can hardly wait for flip flop weather, still pretty cold around here. Love this card! You did a great job. Really so nice of this card idea.